What a rush! If you are a fan of the show "Deadliest Catch", then you will definitely enjoy this book. It was written a few years before the show aired and it gave me my first glimpse into the life of an Alaskan crab fisherman. As one of the men in the book said (and I'm paraphrasing because I do not have the book in front of me), "You can make alot of money...if you live". One seaman had to use his head as a battering ram to escape his sinking ship. Even escaping a ship is no guarantee of survival, however, since the seas are so cold and storms are common. The book also delves into the rescue teams who fly helicopters in some of the worst weather imaginable to find those who are in peril. After reading this you'll wonder how these men could do this for a living. 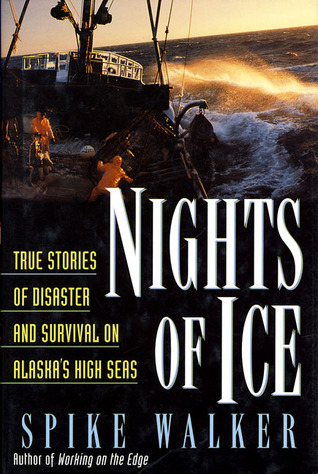 A collection of 8 short stories about survival and tragedy in the cold waters of Alaska. I just could not put this book down, read it in one day. interesting though frequently profane tales of survival in extreme danger and freezing temperatures.